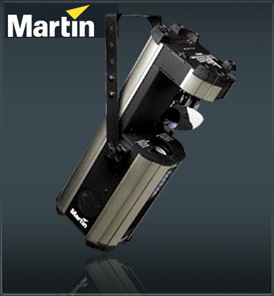 The Martin Mania SCX600 sets new standards for quality and performance in an affordable entry level scanner. The SCX600 is an extraordinary and powerful 250W halogen scanner boasting the highest quality optical system for maximum light output and true high-definition image quality. The Martin Mania SCX600 is exceptionally fast with instant movement. It also includes a separate shutter for fast strobe effects.